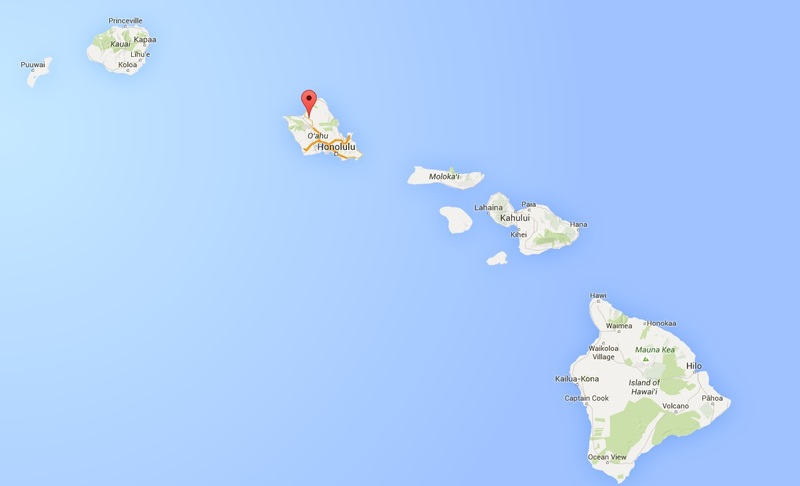 Location: On Oahu, the third largest of the Hawaiian Islands. Home to the Hawaiian Pro and a hefty shore break, Haleiwa begins the journey along the infamous North Shore. Haleiwa itself is the main town and is the place that everyone shops, eats and drinks on the North Shore. Where the big waves are... and when we say big, we mean big. Waimea bay is held sacred in the surf community, as it is one of the few bays that can hold up to 50ft waves that are still rideable. 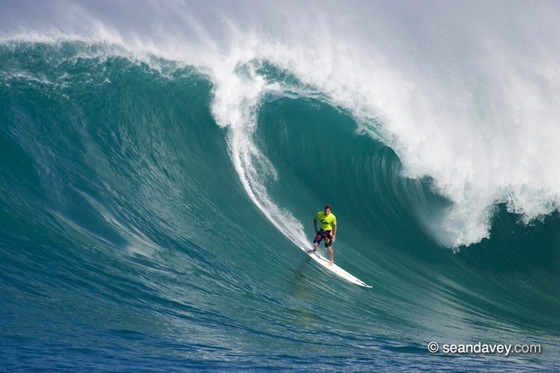 It is the break that The Eddie contest is held when the waves reach epic proportions as it did last December 2009. 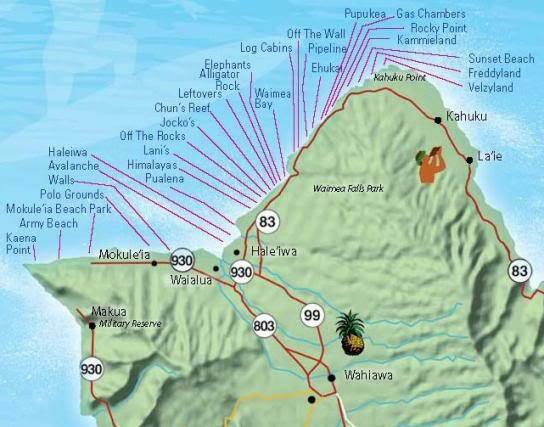 Following the coastline North, just before you reach the legendary Ehukai Beach Park, lies Off the Wall. It's a right-hander wave that provides a great spot for capturing stunning surf photos. 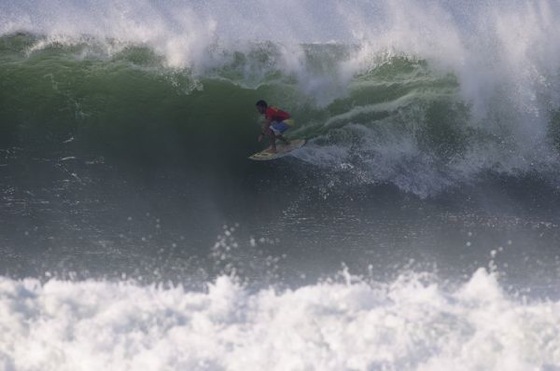 Here it is all about the pro surfers tearing it up in its hollow waves. If ever there was an ultimate wave in the world Pipeline could be it. 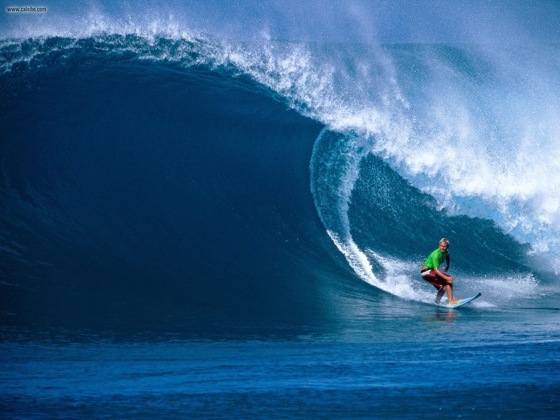 Still one of the most dangerous, yet most impressive rides on the planet, Pipeline is an immense barreling wave that reaches heights of 25ft, with underwater caves formed of razor sharp reef. Pipeline has claimed more lives than any other surf break, yet continues to be the site for the Billabong Pipeline masters each December, where the Vans Triple Crown is decided. 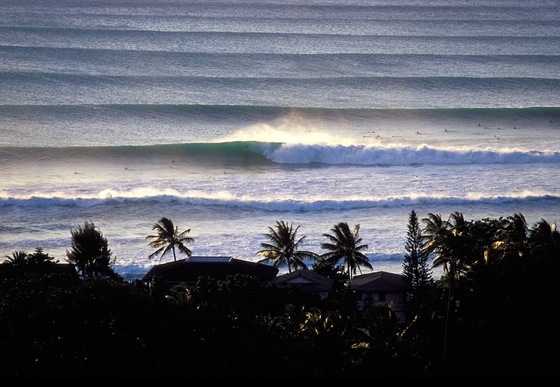 Think of Pipeline, you would ride right (if looking from the beach). However, some crazy surfer once decided to go left at Pipe and so Backdoor was created. Both Pipeline and Backdoor are found in Banzai Ehukai Beach Park, home to every professional surfer during the winter contest season. 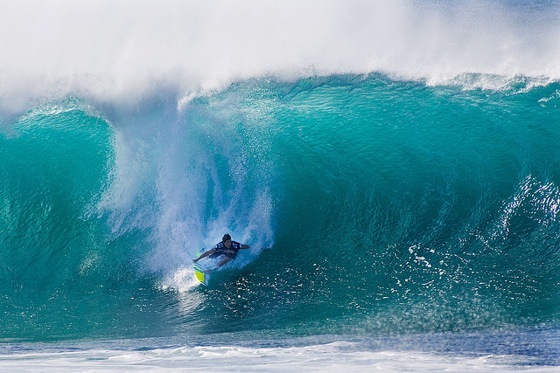 This is one of the most sort after waves later in the Hawaiian winter. Why? 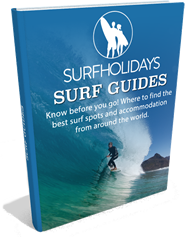 It is because it offers all sorts of fun, rip-able waves that are a surfer's and surf photographer's dream. Pro surfers come here to not only have fun in the varied sand-bottomed waves, but to clinch that all important surf mag shot. Lying within a mile of Pipeline and Rocky's is yet another legendary surf spot, Sunset beach offers around 200ft of breaking waves, can hold small and large sets, and is the home to the O'Neill World Cup of Surfing each year. It's here that the Vans Triple Crown of Surfing starts to take more shape as Sunset is the 2nd stop of the Crown.